You know this thing about Yo-Kai Watch Games? The Yo-Kai Watch Games is going to be a category loved by those all who also love playing Disney XD Games or Anime Games. Nate is a boy who uses a device called yo-kai watch to battle and capture ghosts called yo-kai, and in the Yo-Kai Watch Games you will be able to find a lot of interesting games featuring him and the different creatures in the show. Start playing them right now! 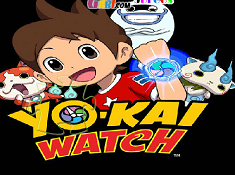 In Yo-Kai Watch Games you can find 9 games that we've published for these kids and childrens that are interested to play Yo-Kai Watch Games, this game gategory have been created on 21.06.2016. These games with Yo-Kai Watch Games have been voted 1 times and the avarage of vote is 5.00 stars. 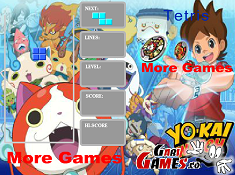 We advice you to play the last flash game from Yo-Kai Watch Games, Yo-Kai Watch Tetris that have been published on 27.09.2016 07:00. Yo-Kai Watch Tetris its a part of Yo-Kai Watch Games category and until now its played 714 times. Try it now on Cute-Games.com! If your like the Yo-Kai Watch Tetris game you can write a comment in the game page. Recommend this game to your friends if you like it! Yo-Kai Watch Sliding Puzzle 2 its a part of Yo-Kai Watch Games category and until now its played 698 times. Try it now on Cute-Games.com! If your like the Yo-Kai Watch Sliding Puzzle 2 game you can write a comment in the game page. Recommend this game to your friends if you like it! Yo-Kai Watch Avoider its a part of Yo-Kai Watch Games category and until now its played 895 times. Try it now on Cute-Games.com! If your like the Yo-Kai Watch Avoider game you can write a comment in the game page. Recommend this game to your friends if you like it! Yo-Kai Watch Sliding Puzzle its a part of Yo-Kai Watch Games category and until now its played 815 times. Try it now on Cute-Games.com! If your like the Yo-Kai Watch Sliding Puzzle game you can write a comment in the game page. Recommend this game to your friends if you like it! 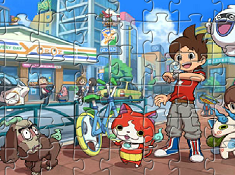 Yo Kai Watch Puzzle Jigsaw its a part of Yo-Kai Watch Games category and until now its played 1063 times. Try it now on Cute-Games.com! 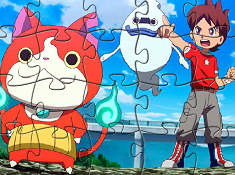 If your like the Yo Kai Watch Puzzle Jigsaw game you can write a comment in the game page. Recommend this game to your friends if you like it! 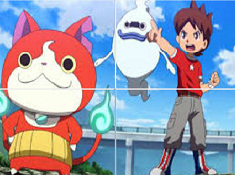 Yo-Kai Watch Puzzle its a part of Yo-Kai Watch Games category and until now its played 853 times. Try it now on Cute-Games.com! 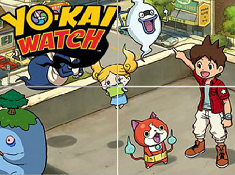 If your like the Yo-Kai Watch Puzzle game you can write a comment in the game page. Recommend this game to your friends if you like it! Yo Kai Watch Coloring its a part of Yo-Kai Watch Games category and until now its played 1386 times. Try it now on Cute-Games.com! If your like the Yo Kai Watch Coloring game you can write a comment in the game page. Recommend this game to your friends if you like it! Yo Kai Watch Memory its a part of Yo-Kai Watch Games category and until now its played 961 times. Try it now on Cute-Games.com! If your like the Yo Kai Watch Memory game you can write a comment in the game page. Recommend this game to your friends if you like it! Yo Kai Watch Puzzle its a part of Yo-Kai Watch Games category and until now its played 900 times. Try it now on Cute-Games.com! If your like the Yo Kai Watch Puzzle game you can write a comment in the game page. Recommend this game to your friends if you like it! Find More About Yo-Kai Watch Games! The next category that we have created for all of you here on www.cute-games.com is going to be a category which we are sure that all of you are going to enjoy, especially if you are a fan of Disney XD Games categories or Anime Games categories. Also, if you love anime like Pokemon or Digimon, then Yo-Kai Watch is right up your alley, and you will learn all the reasons why is that, in this description, where you will be able to find all there is to know about the Yo-Kai Watch Games category and many other fun things to know. Just like Pokemon or Digimon, Yo-Kai Watch is also an anime which has been adapted from a handheld console series of video games from Japan, and since the anime has started to be aired on Disney XD in North America and on all kinds of other channels all around the globe, Yo-Kai Watch has become a world-wide sensation, and we hope the show will prove to be popular further down the line. Just like with Pokemon and Digimon, Yo-Kai Watch also showcases pre-teen and teen characters who use some sort of device to capture creatures. The yo-kai from this show are different from pokemons or digimons, but more about that and other things about the Yo-Kai Watch Games category, later on. We are going to begin with the plot of the show, move on to the characters, and finally, we will talk more about what kinds of Yo-Kai Watch Games you will find on this page and be able to play for free, anytime, from anywhere, only on www.cute-games.com! Nate, or Keita in the Japanese version, is a boy who was one day strolling through the woods, when he stumbled upon a sacred tree from where he found an unusual capsule machine. 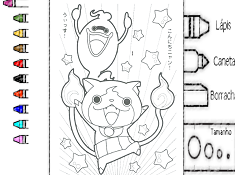 From the spirit in the capsule, Nate receives the yo-kai watch, which is a device which he needs to use to find and capture yo-kai. What are yo-kai? They are basically spirits or ghosts, which roam around the world, unseen by regular people, and cause them pain and make all sorts of trouble. 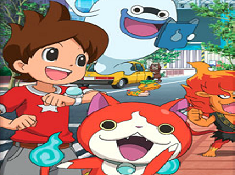 Of course, not all of them are bad, as nate becomes friends with Yo-kai Jibanyan and together with the Whisper becomes friends with other yo-kai. He then uses the yo-kai to battle the evil and ill-intended yo-kai, and when he defeats them, he helps the people that were haunted by them. Bear, Eddie and Katie are Nate's human friends, and while they don't know about the yo-kai, they are also sometimes in trouble because of them. With the gang, Nate goes on all sorts of adventures, and the fun never stops. In the second season, we have a new main character join the frey, Inaho, who also gets her own yo-kai watch, and makes friends with the spirit called Usapyon, who needs Inaho's help with restoring the happines of a scientist she upset by mistake. Inaho and Nate will open up a yo-kai agency, and work cases together, to help people with yo-kai problems. Together they can do more good, and with more character, the fun also increases. 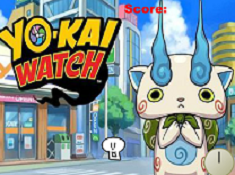 We hope that by explaining the plot and telling you about the characters in the show, we have managed to get you interested in the Yo-Kai Watch Games category, and you are now curious to find about what kind of Yo-Kai Watch Games can be found on this page, and what to expect from the category. Have no worries, as we are going to deal with this right now, so keep reading, you will be done soon! So far, in the Yo-Kai Watch Games you will be able to find games where you have to think or use your imagination, like memory matching games, puzzle games for you to solve which depict interesting images of the characters and of the Yo-Kai, or fun coloring games where you will be able to color the yo-kai and the characters however you want to, and bring black and white pictures to life through color. You can be sure that whenever new Yo-Kai Watch Games are going to appear on the internet, our team will be ready to add them on this page as fast as possible, and who knows, maybe we will even add some games made by ourselves, as we have a team who makes great games which you can have a lot of fun playing. Well, we think that we have done a good job describing to you the Yo-Kai Watch Games category here on our website, so we hope that you are going to begin playing the games as soon as possible, and not miss out on the fun this category provides. For even more Disney XD Games and fun games from all kinds of networks, don't leave www.cute-games.com, where you can find the best content ever when it comes to online games! Good luck to you all!